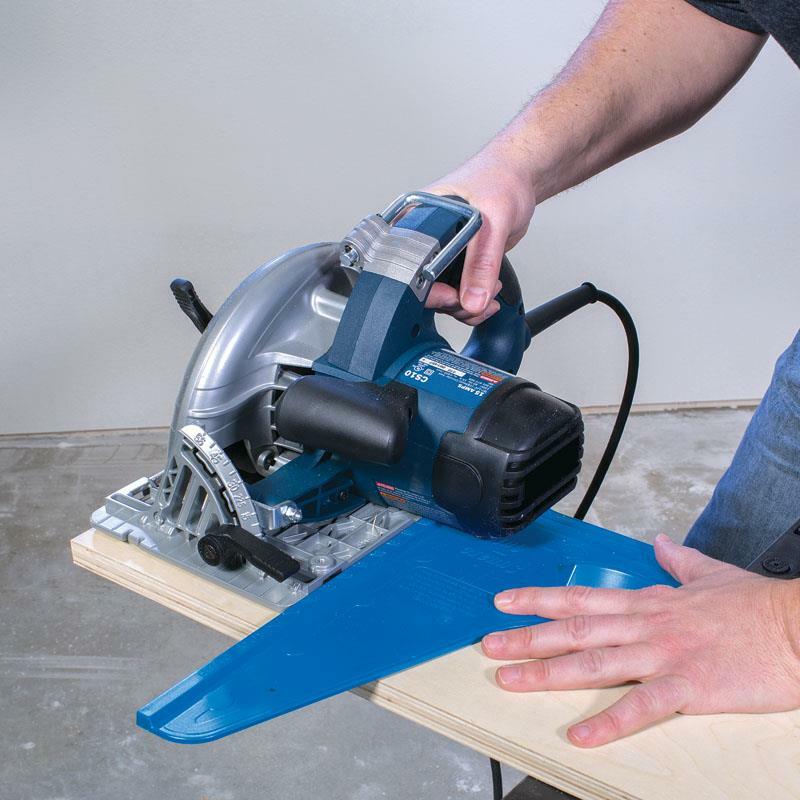 The Square-Cut™ allows you to quickly and accurately crosscut boards up to 12″ (305mm) wide. 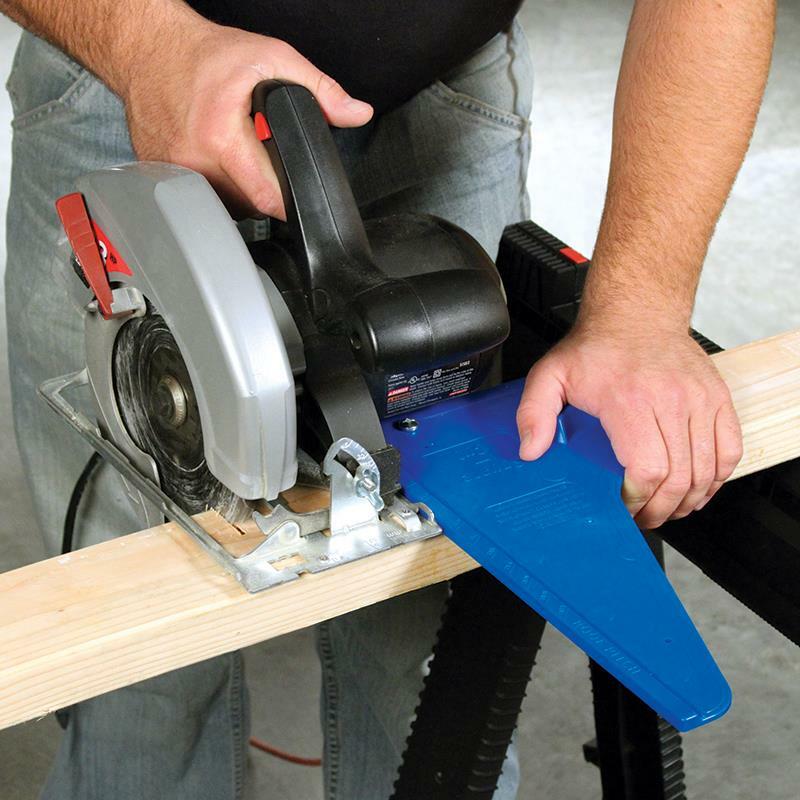 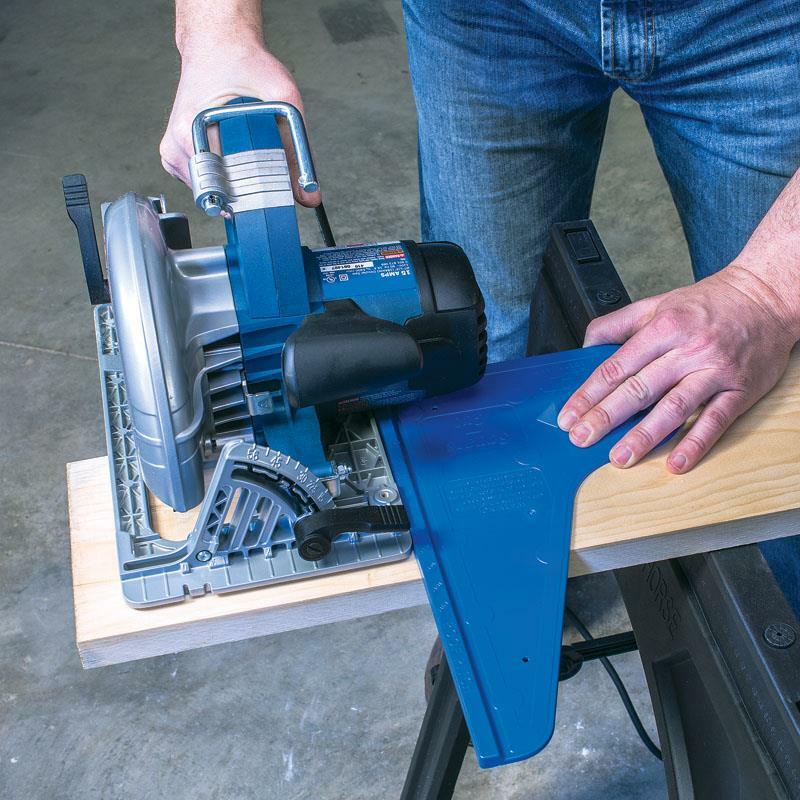 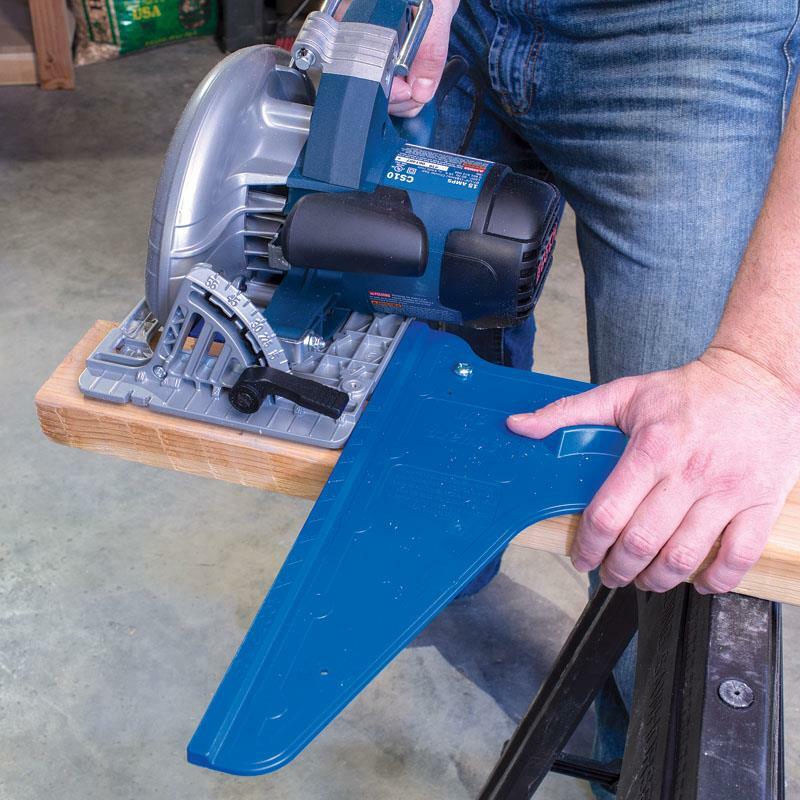 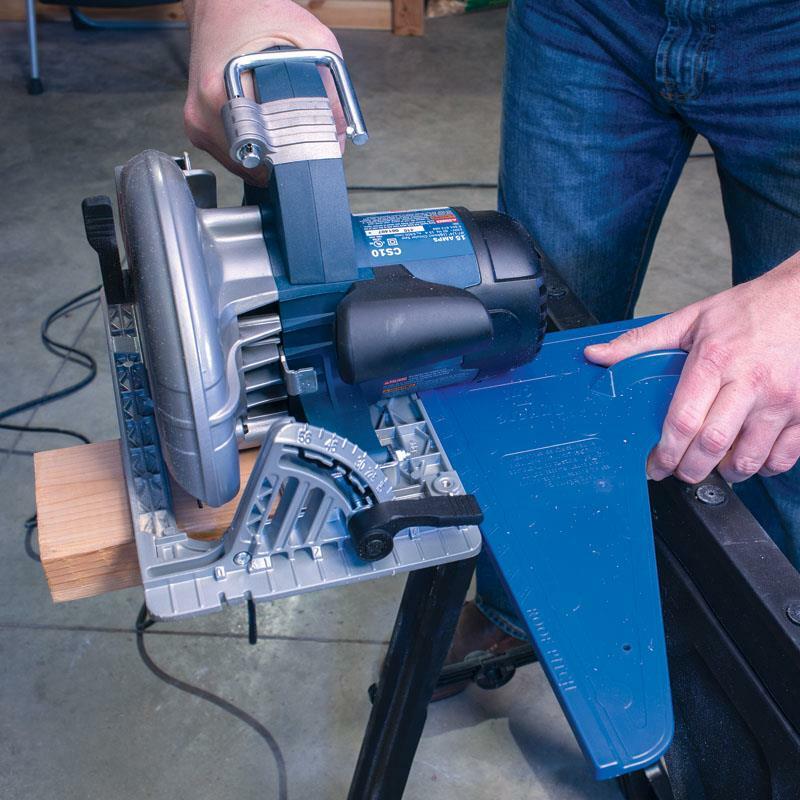 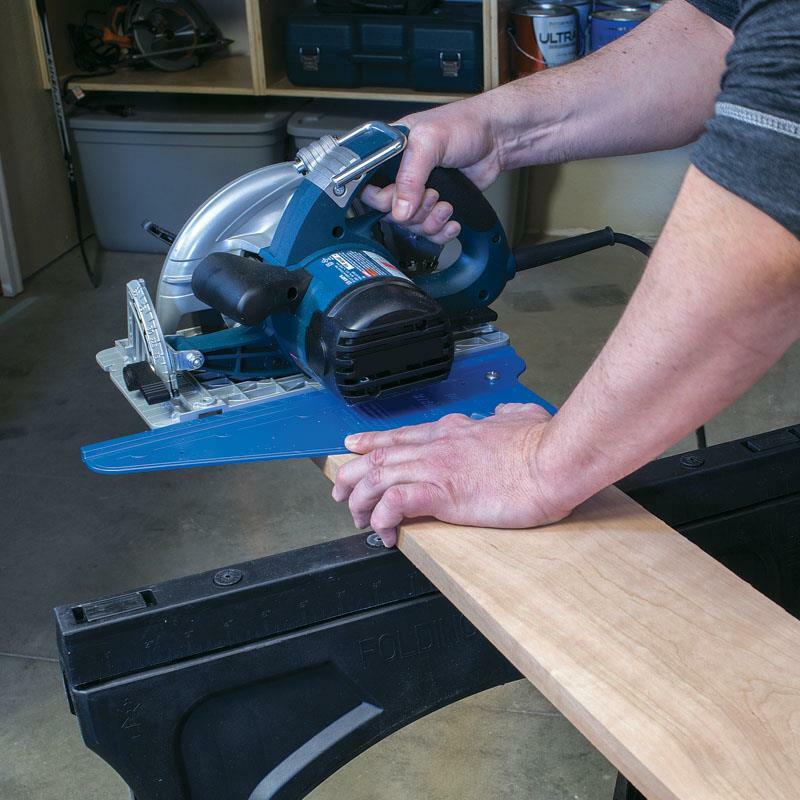 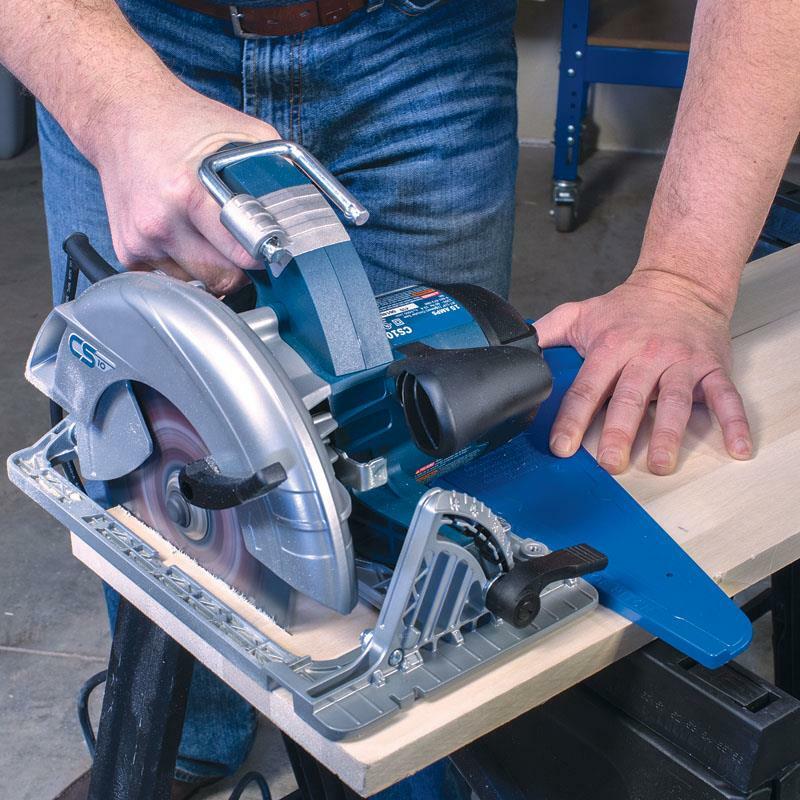 Whether you’re using a circular saw or a jigsaw, the Square-Cut™ ensures great results. 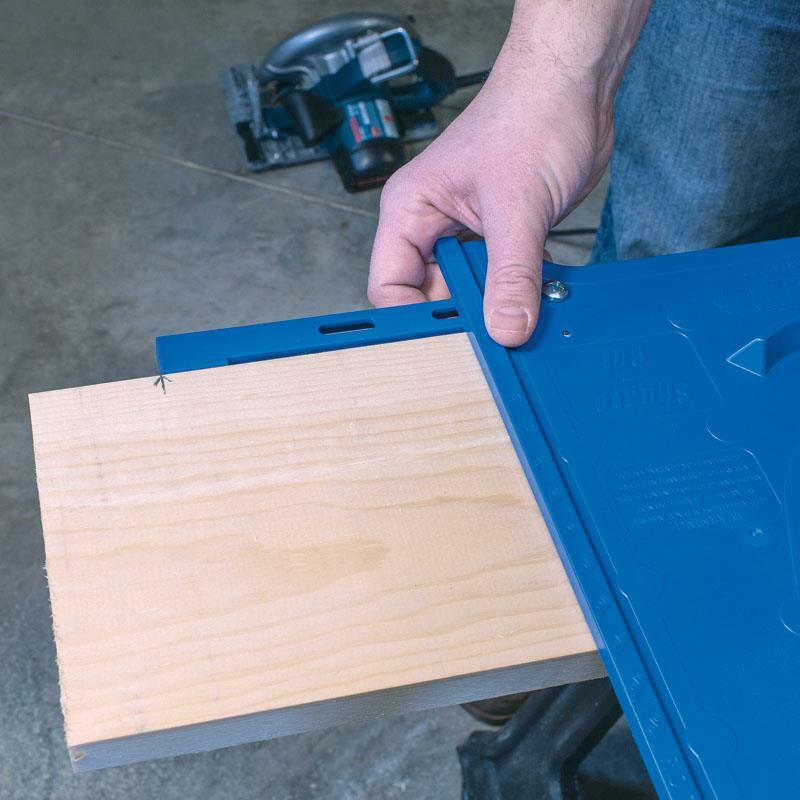 Just position the Square-Cut™ against the edge of your board and the built-in guide arm ensures that it sits perfectly square. 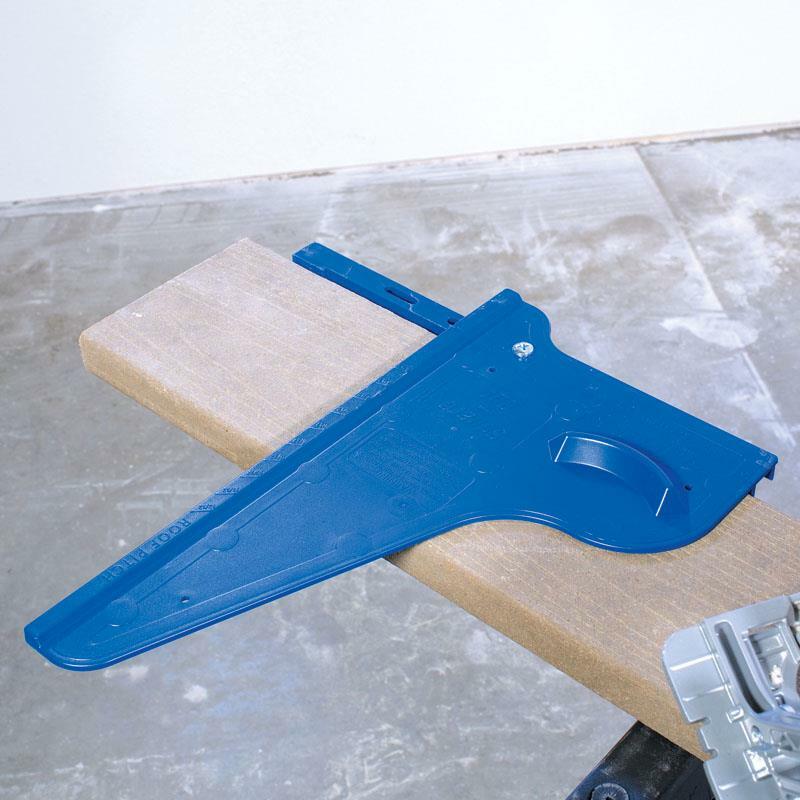 Plus, the guide arm is adjustable, so you can set it to match the offset between the edge of the saw base and blade. 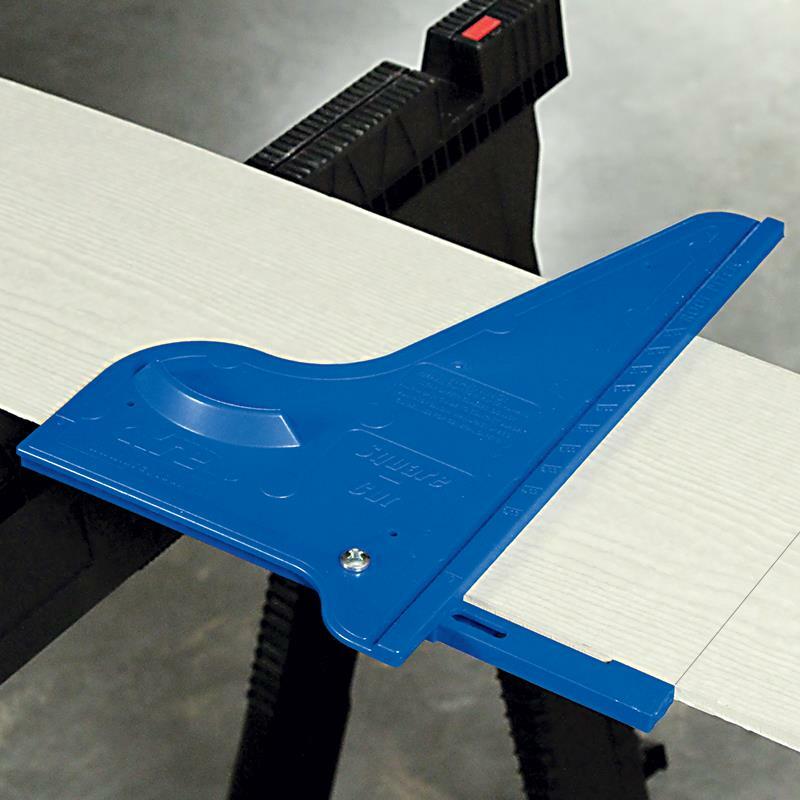 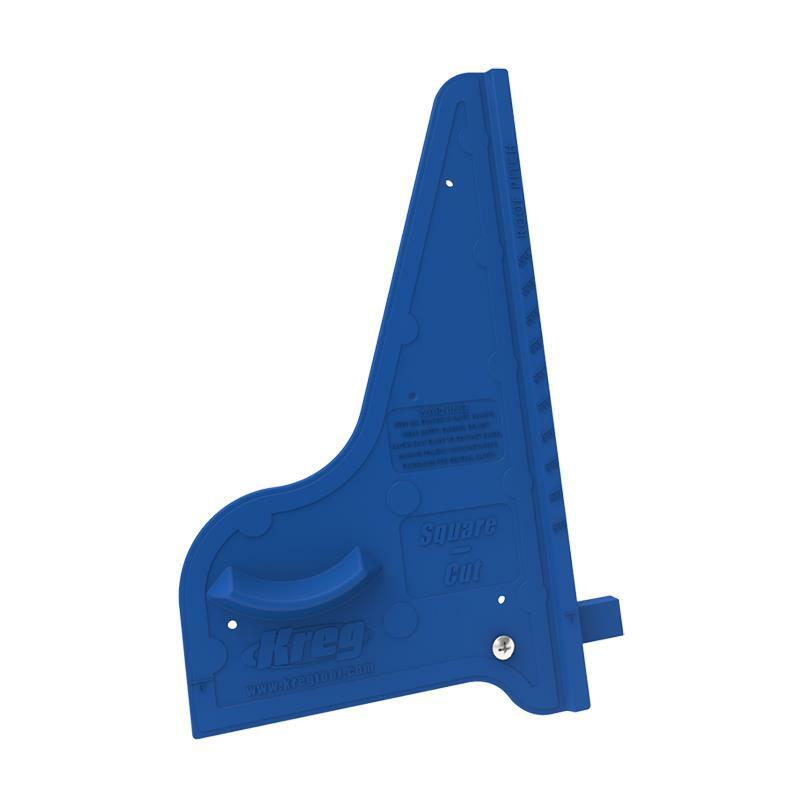 Simply position the end of the guide arm on your cut line, and the Square-Cut™ will be automatically aligned to guide your saw through the cut. 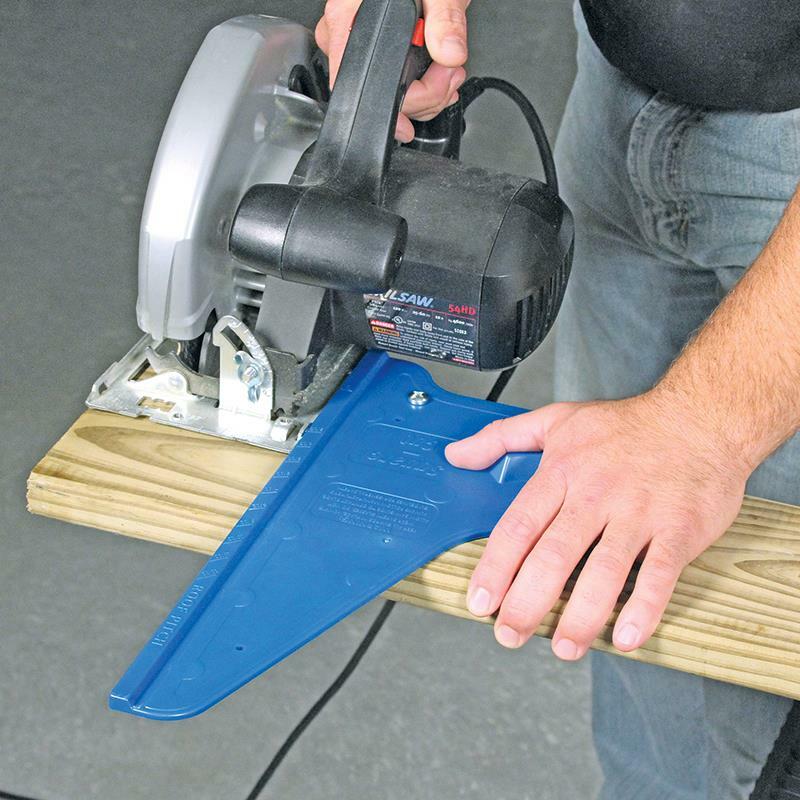 That eliminates the guesswork of having to align your blade by eye, and then hold the keep it on the line as you cut. 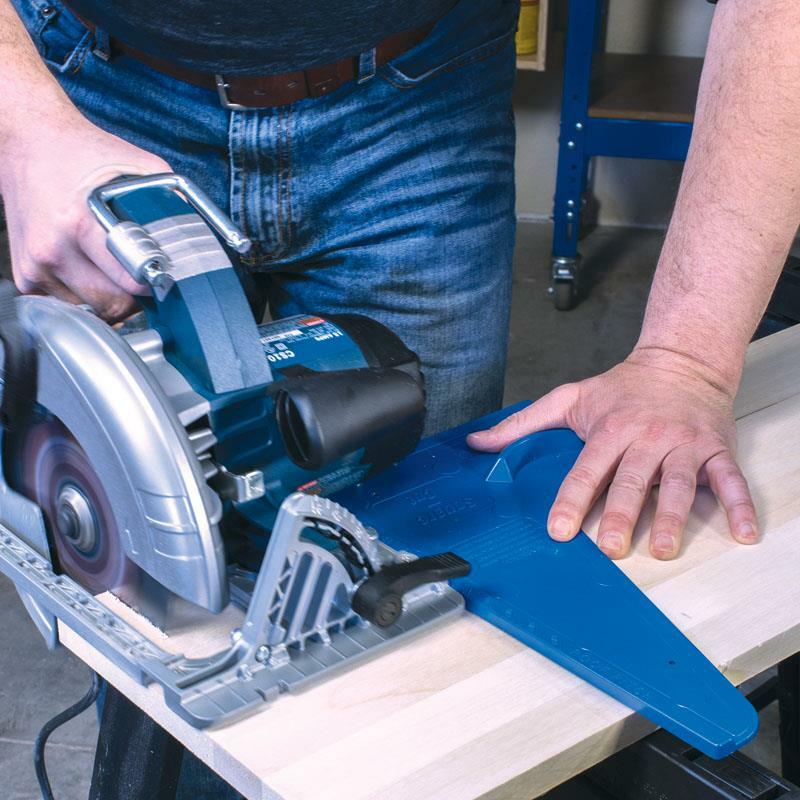 With the Square-Cut™, you’ll get great crosscuts every time.